I am at 95% confidence that the above are Agaricus arvensis or the “Horse Mushroom.” However, 95% is not good enough for me to put it in my mouth, chew and swallow. 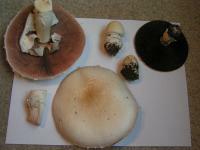 I’ve picked these before and have posted previous specimens here. 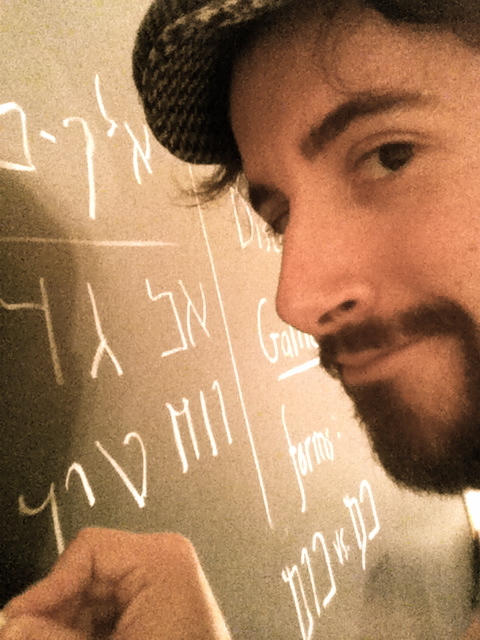 In fact, in those previous pictures, I believe that there was a tipoff as to its identity. 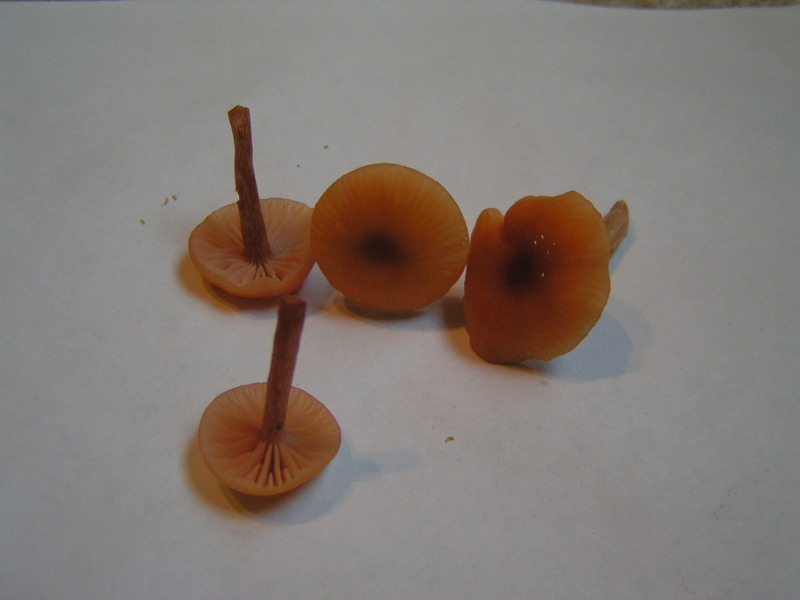 If you look at the 6th one in the set, in the upper left-hand corner of the image you can see the distinctive “cogwheeling” that is present in A. arvensis‘ ring. The cogwheeling isn’t as distinct in these pictures (although I do believe it’s there), so I still hesitate. Cap: 6-7″ in diameter. Convex to flat. 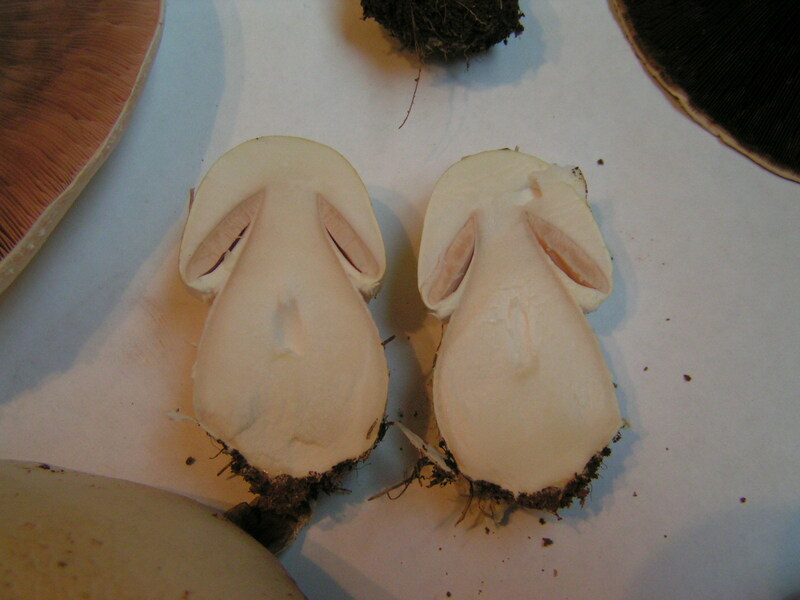 Younger buttons pale yellow-buff to white, older specimens white with buff to tan area towards the center. Very fine compressed shag. 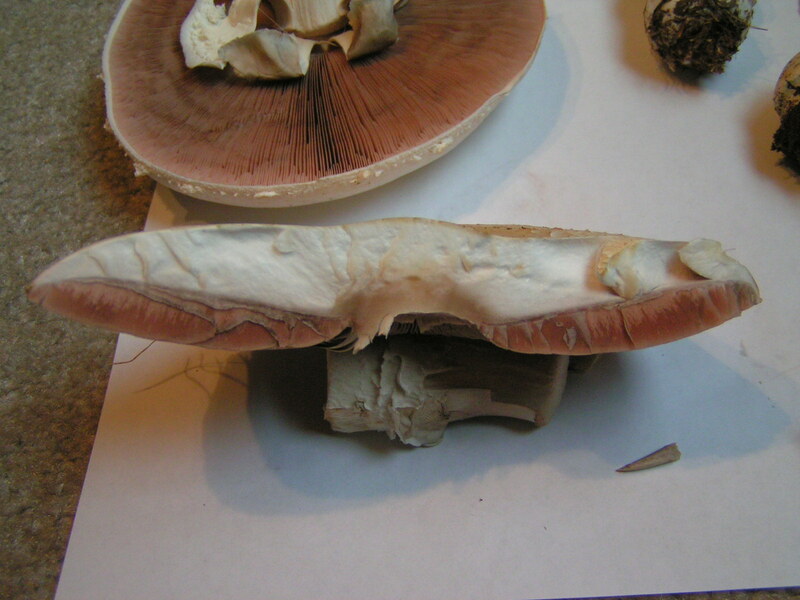 Flesh, for the most part not bruising to any color except a very very light brown where the cap connects to the stem. 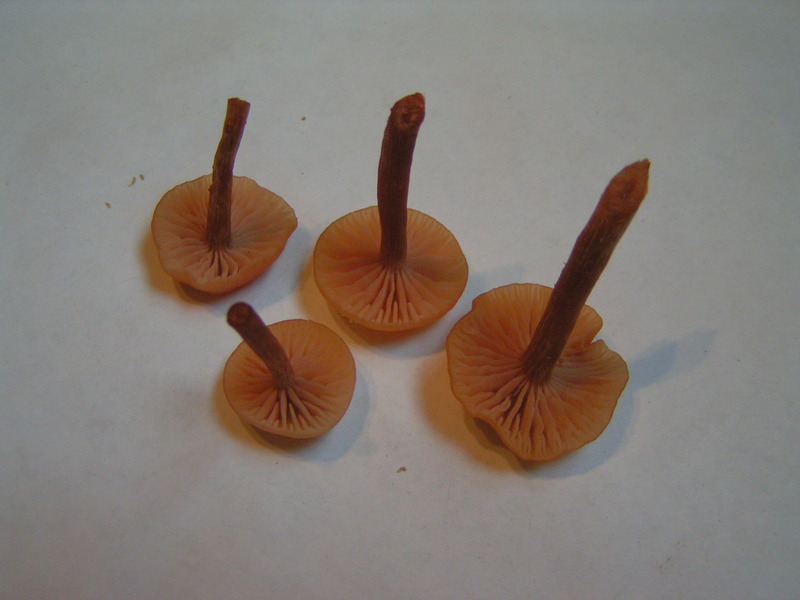 Gills: Free from the stem and crowded. 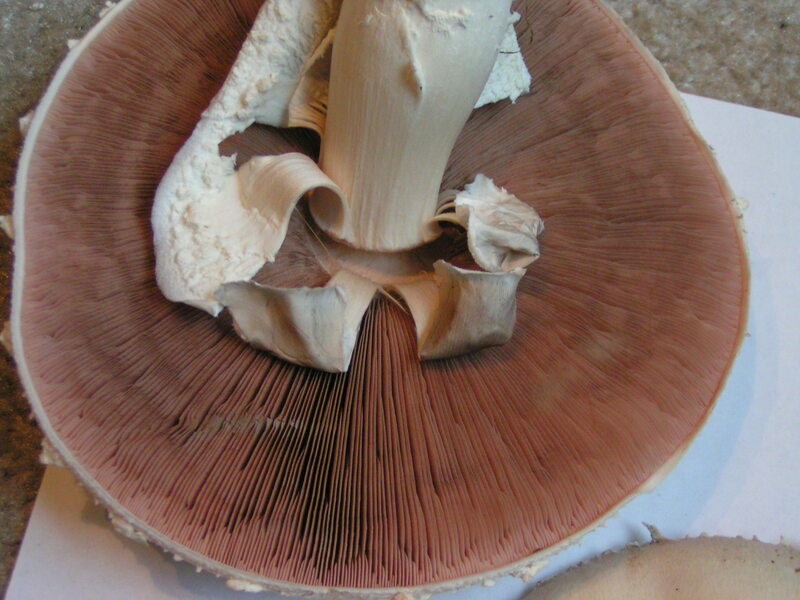 Very pale in the button stage progressing to gray (with very slight hints of pink, but completely desaturated) and finally dark chocolate brown upon maturity. Stem: Up to an inch thick similar to any other Agaricus stem with a small bulb at the base (more prominent in buttons). Big floppy ring with some cogwheeling. Spores: Spore print is chocolate brown. Spores smooth and elliptical. Unfortunately my microscope’s calibration is off at the moment so I cannot distinguish exact size. 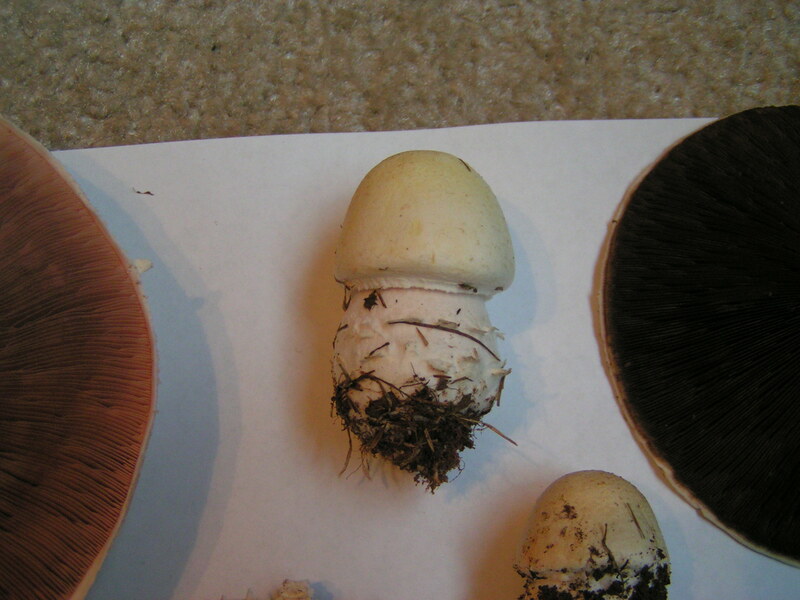 Unfortunately, these photos do not show the true vivid colors of these mushrooms. They were brilliant red-orange. I’ll add in more info about them here later. We also came across some funky, slimy yellow mushrooms, but decided against harvesting any samples, as our basket was (at the time) chock-full of edible goodness.